Atari®, one of the world’s most recognized publishers and producers of interactive entertainment, today announced the worldwide availability of Pridefest™, an original social-sim game inspired by the Lesbian, Gay, Bisexual, Transgender and Queer (LGBTQ) community. As the new mayor of a city that has seemingly lost its fun and color overnight, Pridefest players are tasked with bringing the city back to its former glory. The mayor must transform buildings from dull to bright by spreading joy throughout the city, acting as the Grand Marshal and restoring pride throughout the city, neighborhood by neighborhood. Players can showcase their personality by customizing avatars, shops and storefronts, and pride flotillas while following an engaging storyline through more than 40 quests to unlock new content. Fill the “Fun Meter” to achieve the city’s optimal happiness and make the citizens cheerful again. 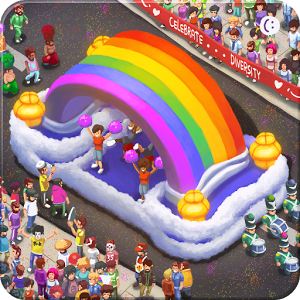 Packed with social features designed to encourage players to connect on a global scale – Pridefest boasts one-to-one chat functionality, options to visit and run pride parades in far-off cities created by other Pridefest players, as well as a “club” system that allows the formation of in-game groups. The various social features can be turned on or off, based on the preferences of players. Also essential to the Pridefest experienceis the level of personalization, which is incorporated throughout the game. Avatar customization gives players the choice of dozens of body types, hairstyles, clothing, and accessories to personalize. Pride flotillas provide another opportunity for customization, with various themes, mascots, decorations, and more available to incorporate into each parade. 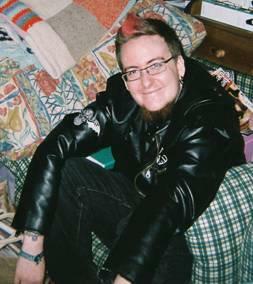 Pridefest is developed in partnership with Mad Marshmallow. To learn more and download on the App Store for iPhone, iPad, and iPod touch or on Google Play for Android devices, visit PridefestGame.com.